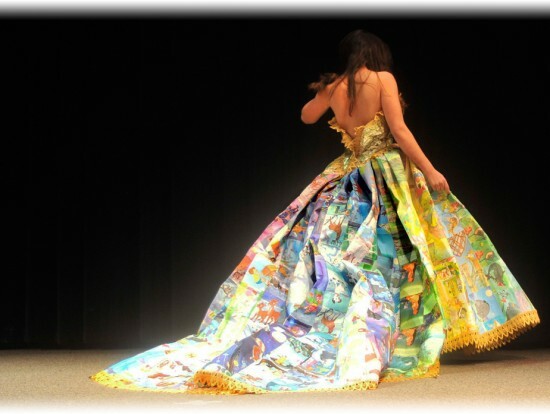 Boston-based fashion designer Ryan Novelline has created an amazing fairytale dress using only pages from children’s Golden Books. If you had any doubts regarding human creativity being endless, this unique creation will definitely make you a believer. 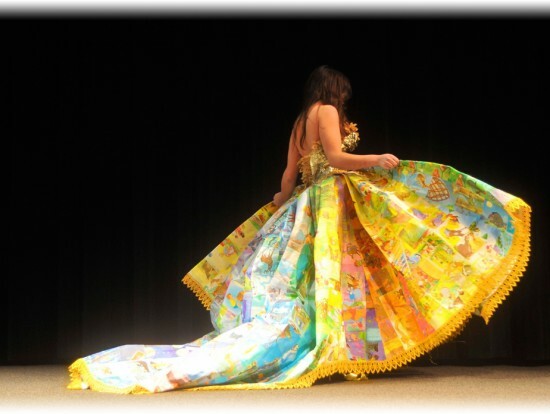 Now I’m not very big on fashion, but I know impressive when I see it, and Ryan Novelline’s gown made entirely out of recycled and discarded children’s Golden Books is one of the most amazing things I’ve ever seen. 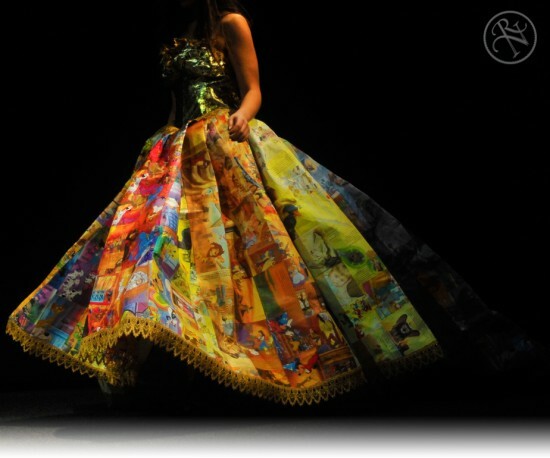 The skirt is made entirely of illustrations from the book sewn together with metallic gold thread, while the bodice is made from the books foil spines. Both have tape backing for reinforcement. 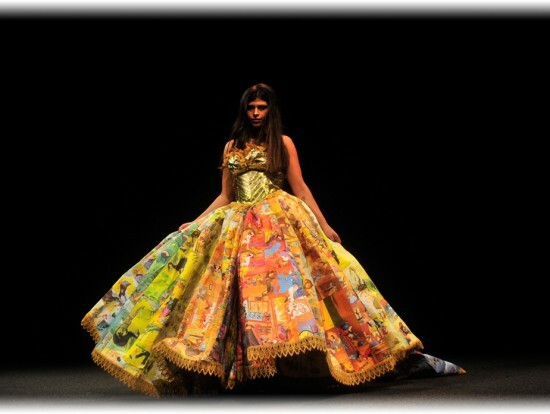 The total surface area of the skirt is 22,000 square inches.